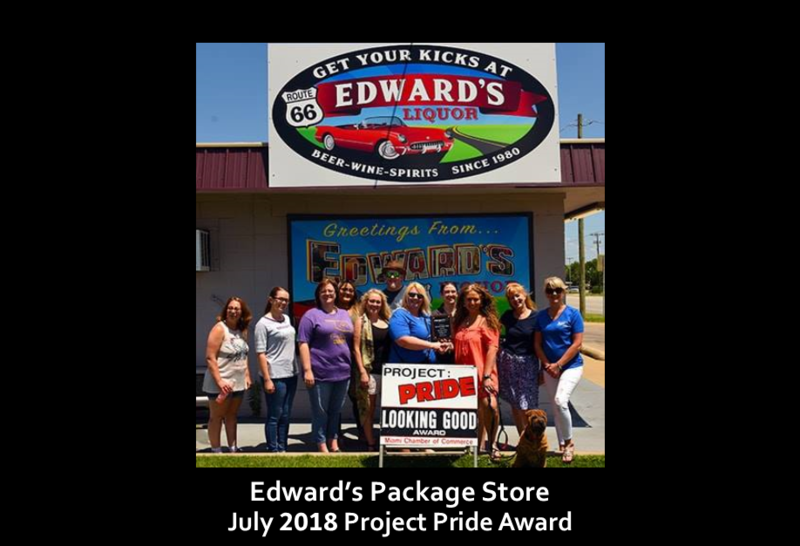 Project Pride recognizes those companies who have enhanced the curb appeal of their business, demonstrated pride in their business surroundings, improved landscaping to look cleaner and greener, and/or is attractive to the general audience. 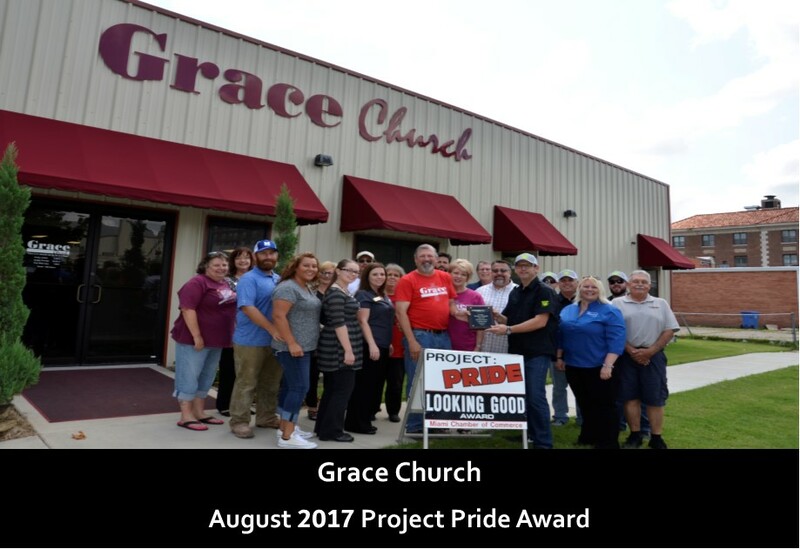 Pictured below are our most recent Project Pride recipients. The Chamber’s Ambassadors coordinates this awards program and will make presentations on a bi-monthly basis to those well-deserving of this recognition. Nominations for this prestigious bi-monthly award may be sent at any time during the year. Each month designated Ambassadors will review the nomination forms and select the most deserving applicant for making a curb appeal impact in the City of Miami or Ottawa County. 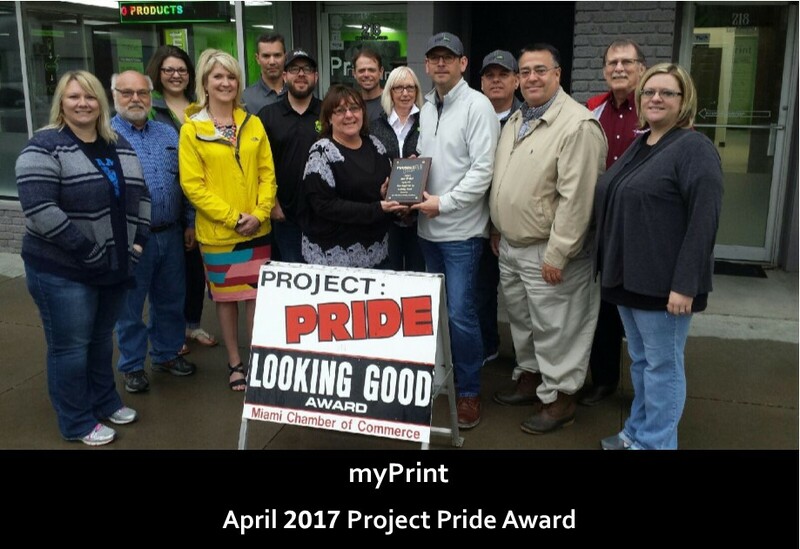 Every other month the Chamber Ambassadors will join the recognized business and present them with an award, post a sign at their business location for a month designating them as the Project Pride recipient, and submit a photo and information to the regional media for publication. 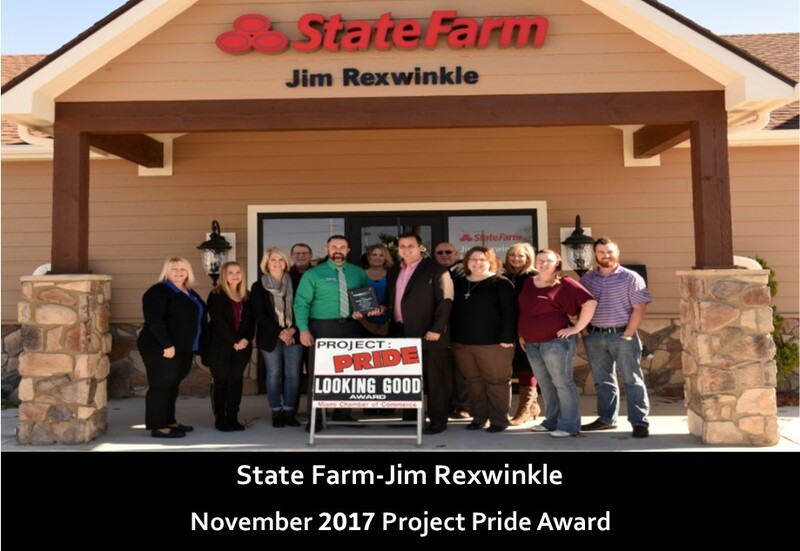 Past recipients for 2016 includes: Baptist Collegiate Ministry, M&D Lumber, Neece Concrete Construction, NEO Campus Police, Venue 29, and Welch State Bank (Steve Owens Blvd. location). 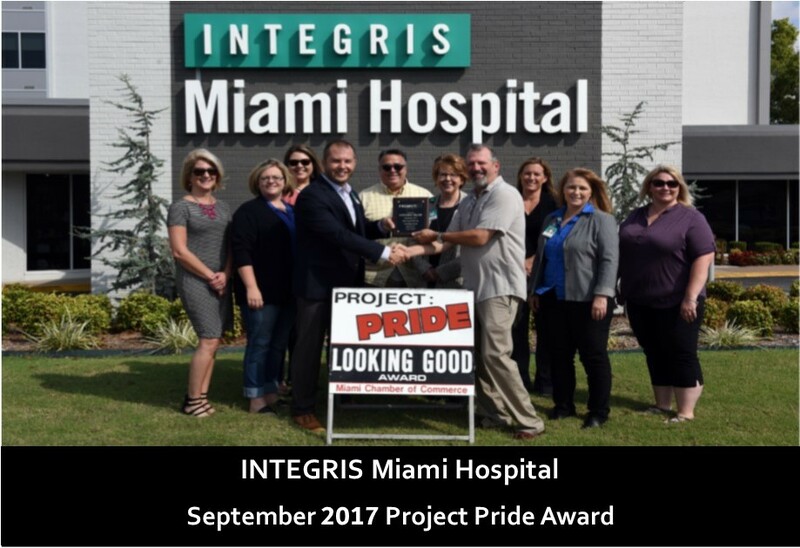 Nominate A Business for Project Pride! Are you impacted by the change of scenery in the business district? Impressed with the attractiveness of a business location? Noticed major changes to a building, location or the surrounding grounds? Love the use of plants and flowers around a business location? 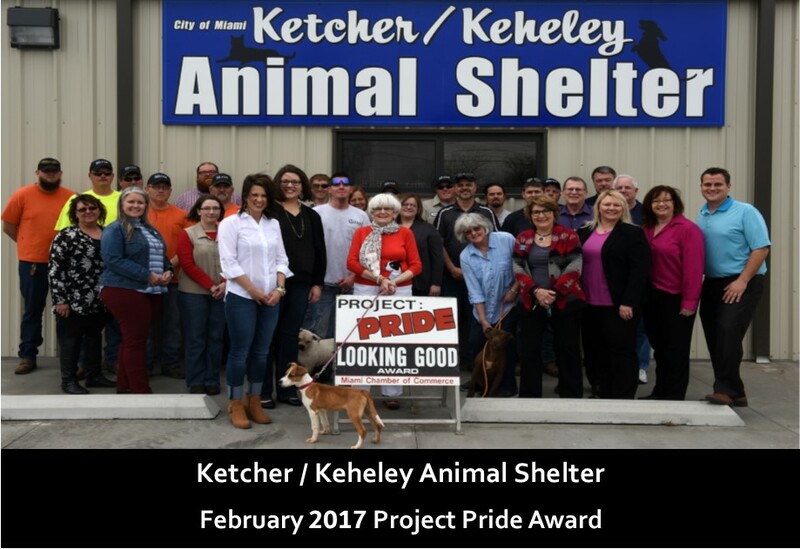 If you are impacted by change in a business location, submit a nomination for that business to receive the Chamber’s prestigious Project Pride award. To submit online – please complete the form below. 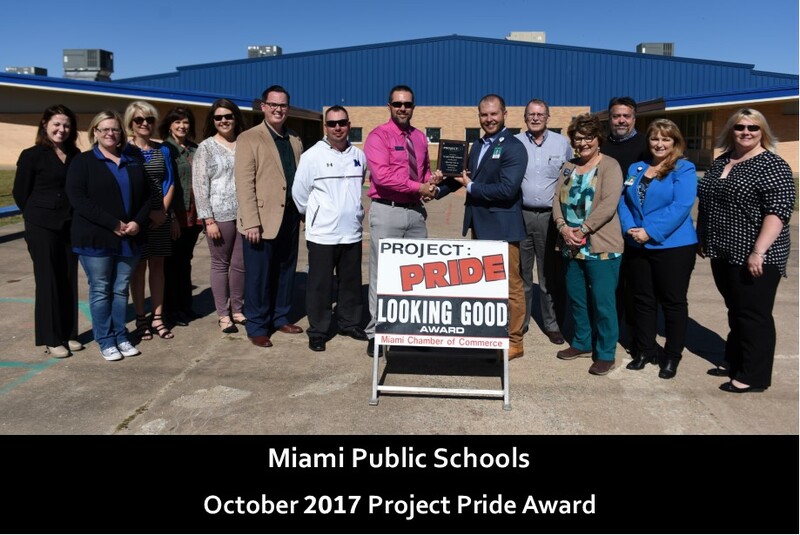 The form is also available in pdf format that you can download, complete and mail to or drop off at the Miami Oklahoma Chamber of Commerce.